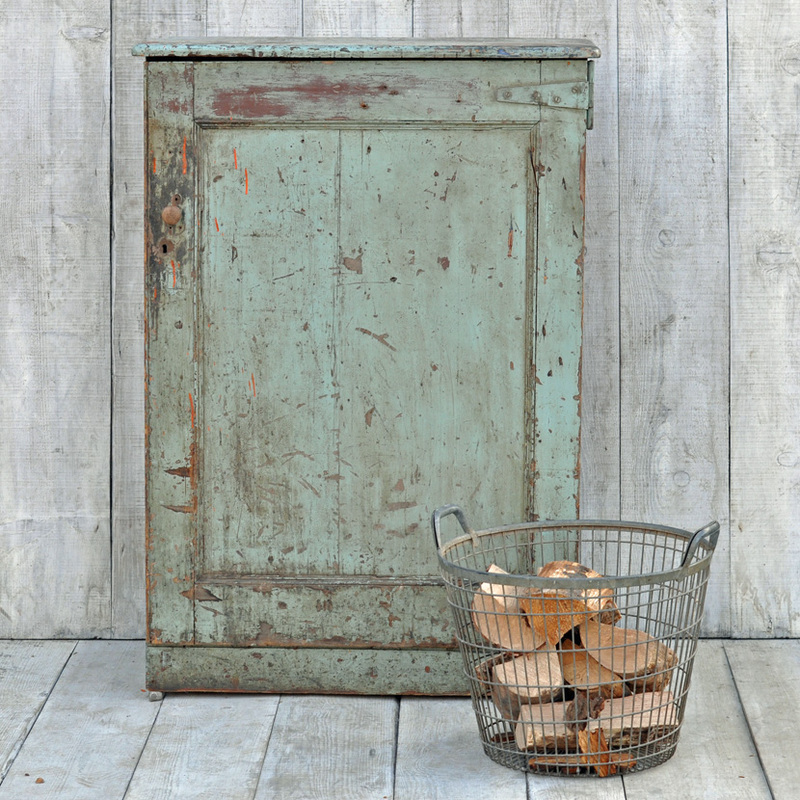 To see more details and dimensions on our vintage distressed storage cabinet, please scroll down. 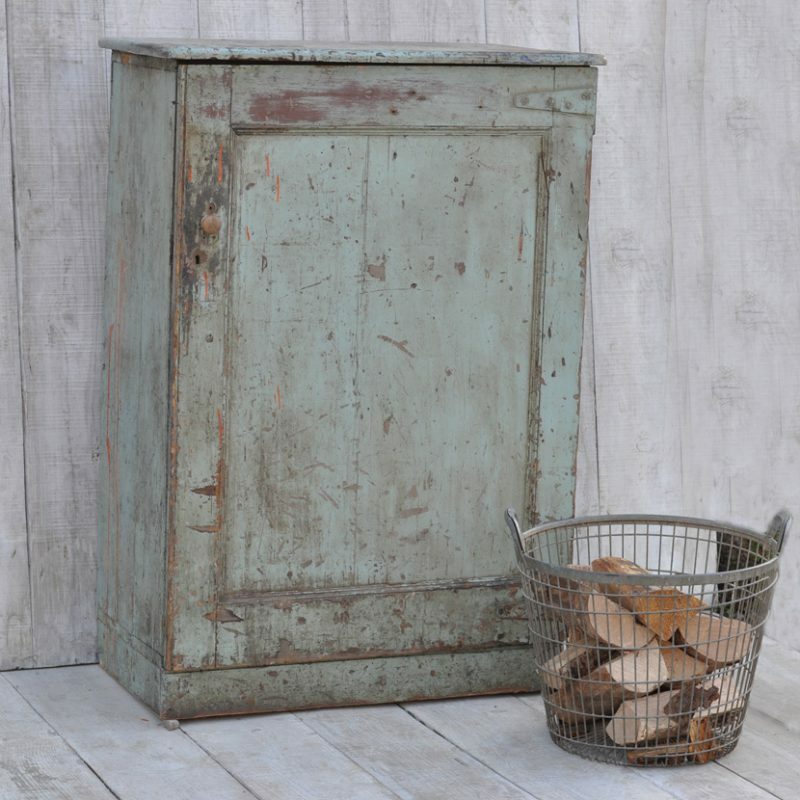 This lovely, vintage distressed storage cabinet – original turquoise paintwork, is an extremely useful and functional piece of furniture. The inside of the cabinet has divided shelves, to make it a fantastic storage solution for any area of your home. It would great as a shoe storage cupboard, or to clear away the mess in a boot room or hallway. The smaller of the shelves are sliding, and so can easily be removed to utilise the space as required. 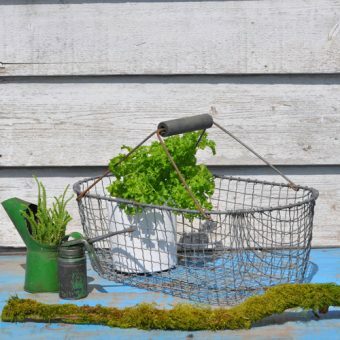 With a heavily distressed exterior, in an original pale green turquoise colour paint finish. 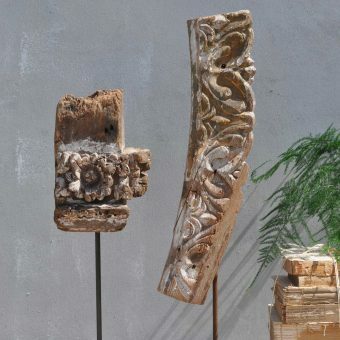 It also has paint splotches and marks that show the age and use of the piece. 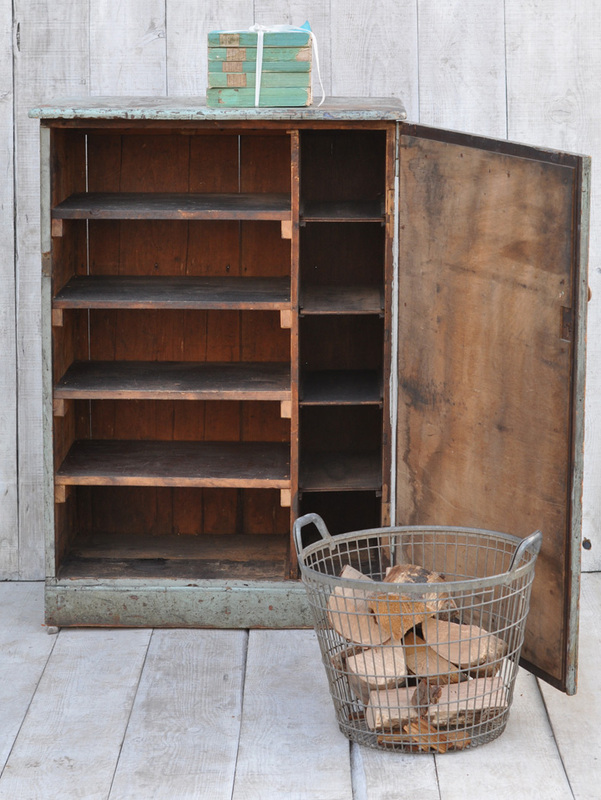 We feel this only enhances the character of this vintage distressed storage cabinet, as a perfect storage solution. 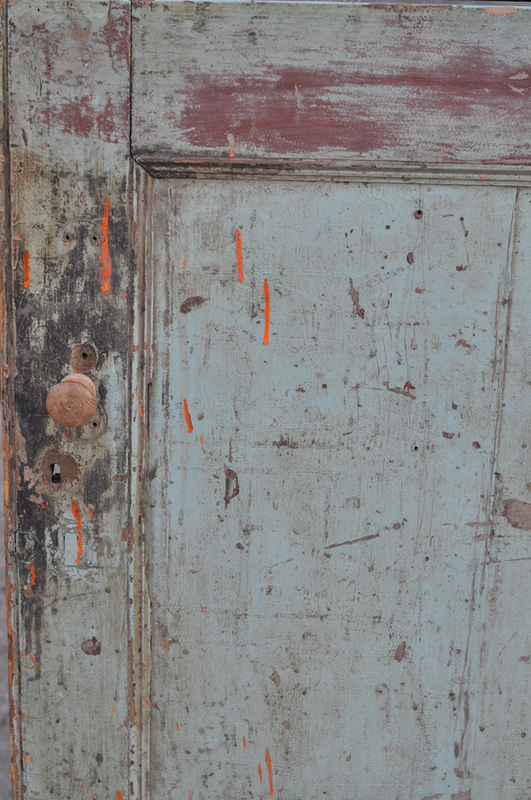 Tags: original patina, vintage cabinet, vintage cupboard, vintage painted cabinet, vintage storage solution.